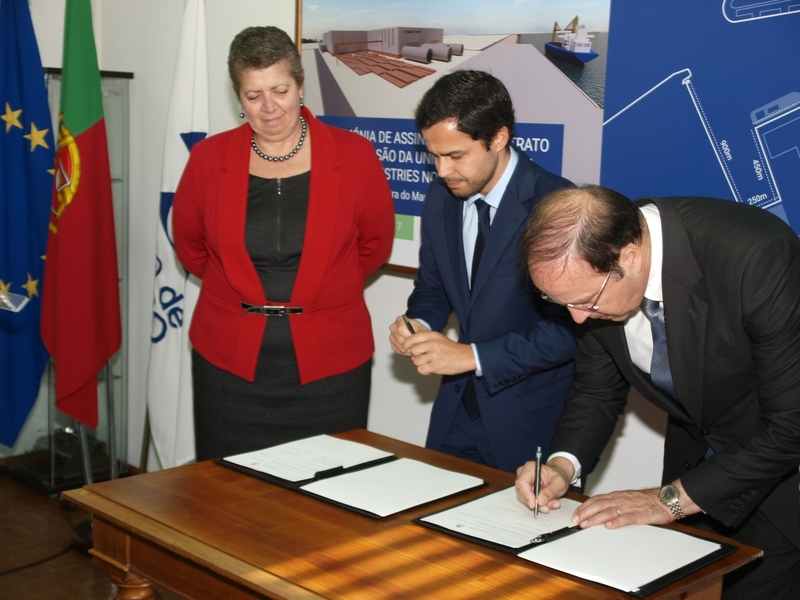 ASM Industries will move forward with a new industrial production unit at Aveiro Port for construction of wind towers and foundations for offshore application, resulting from the signing of a concession agreement with the Aveiro Port Administration (APA), formalized today, November 25, in a ceremony presided by the Portuguese Minister of the Sea, Ana Paula Vitorino. The construction of the new industrial infrastructure will begin in January 2018, and comprises a total area of about 72 thousand square meters and the creation of 150 direct jobs. “Our know-how in the manufacture of equipment for the production of energy, both onshore and offshore, allows us now to found ASM Offshore, which aims to follow the trends of this market and create propitious conditions for the supply of metallic equipment with large dimensions and weights for application in new offshore wind farms, “says Adelino Costa Matos, CEO of ASM Industries. 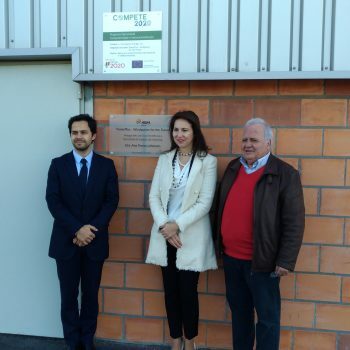 The new ASM Group plant, which will be installed in the Logistics and Industrial Activities Zone of Aveiro Port (ZALI), represents an investment of 25 million euros, coming from co-financing of the Compete 2020 / Portugal 2020 / European Structural and Development Funds program. The restructuring of Aveiro Port will be carried out by APA, and the production of equipment in the exclusive unit of ASM Offshore is expected to begin in the first four months of 2019. Adelino Matos emphasizes that «This new exclusive unit for the offshore area is unique in Portugal, regarding metallic products for this industry. It is the most appropriate solution to have a strategic location, with direct access to a private quay that allows unloads of raw materials and finished product loads, and that will be equipped with cutting-edge technology. “We intend to have a greater production capacity in Portugal so that we can respond effectively to the offshore industry in the main European markets such as the United Kingdom and France and the markets of North America and Latin America where new offshore projects are emerging, notes the CEO of ASM Industries. 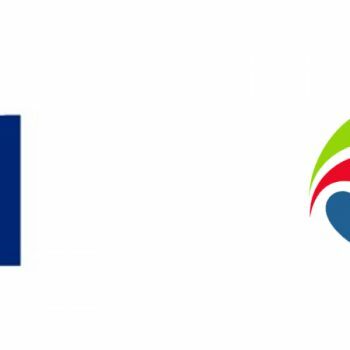 “We want to challenge the present, creating the best and most suitable conditions for us to grow in the offshore energy segment, so that we can be a world reference company and leader in its sector of activity, based on quality, innovation and competitiveness”, finishes.